Pedro Pires studied at the University of Lisbon together with other later leaders of liberation movements for the independence of the Portuguese colonies. With the start of fighting in Angola in 1961, he left Portugal to join Amilcar Cabral in Guinea-Bissau. Until the Carnation Revolution, he fought for independence and was then spokesman of the negotiations with Portugal. Pedro Pires served as the first Prime Minister after the independence of Cape Verde from 1975 – 1991 and as President from 2001 – 2011. During three successive mandates as Prime Minister his government achieved substantial gains in health, education, training and literacy, which translate into a significant improvement in the conditions of life of the population and in the protection of the environment. Cape Verde now ranks at seventh place for Sub-Sahara African countries on the Human Development Index. At the international level, the Cape Verdean government led by Mr.
Pires played an important role in the negotiation processes that led to the independence of Namibia and to the withdrawal of Cuban and South-African military forces from Angola. In 2011 he was awarded with the Mo Ibrahim Prize for Achievement in African Leadership. Currently, Mr. Pires is the President of Amilcar Cabral Foundation. 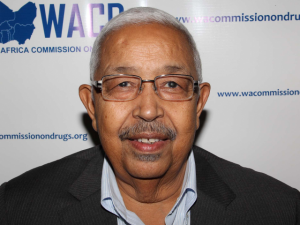 Dr. Idrissa Ba serves as the Assistant Clinical Manager, Faculty of Medicine, Pharmacy and Dental Association at Cheikh Anta Diop University of Dakar and Chief of Thiaroye National Child Psychiatric Hospital. As a psychiatrist, Dr. Ba specialises in addiction. 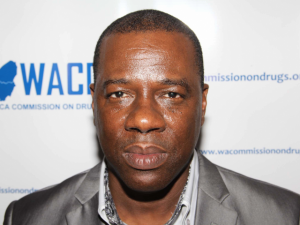 He is a member of the Senegalese Association of the Reduction of Infective Risks for Drug Users and Focal Point for Injectable Drugs Users at the Senegalese National Council for the Fight against HIV / AIDS (CNLS). 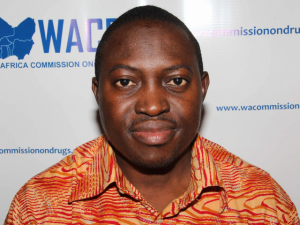 He was the principal coordinator on a survey of the size and prevalence of HIV and hepatitis and the risk practices among injecting drug users in Dakar. Justice Rosolu John Bankole Thompson is a Sierra Leonean Judge with academic, professional, and judicial credentials in criminal law and procedure, comparative criminal justice, international criminal law, and international humanitarian law. He served as a judge of the UN-backed Special Court for Sierra Leone and significantly contributed to the jurisprudence of that war crimes tribunal. Justice Thompson also served as a judge of the High Court of Sierra Leone and a prosecutor in that country. As an academic, Dr. Thompson has taught and published extensively, in particular on the constitution and law of Sierra Leone and on criminal procedures in the US. For several years he has been a professor in the United States; currently, he is Professor Emeritus at Eastern Kentucky University. Alpha Abdoulaye Diallo is a medical doctor at the National Ignace Deen Hospital in Guinea and president of the Guinean Africa Youth Network since 2007, an organization that fosters citizenship and a transparent, accountable government. Since 2006, Dr. Diallo has been engaged in Guinea’s social movement and the National Council of Civil Society Organizations, which was established in 2002, working as a Deputy Coordinator of the monitoring program of the electoral process in Guinea. Dr. Mary Chinery-Hesse is a retired international civil servant. She has worked at the United Nations as Resident Coordinator and UNDP Resident Representative, serving in New York, Sierra Leone, Tanzania, the Seychelles and Uganda. She was the first African woman to be appointed to that position. She was then appointed as the first woman Deputy Director-General of the International Labour Organization (ILO). From May 2006 – January 2009, Dr. Chinery-Hesse served as the Chief Advisor to the President of the Republic of Ghana in the Cabinet of President J.A. Kufuor. 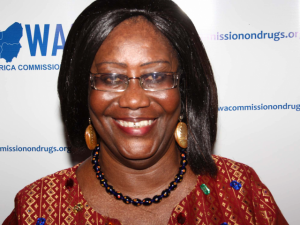 She currently serves on the Five-Member African Union Panel Of The Wise where she represents West Africa. Dr. Chinery-Hesse is the Chairman of Zenith Bank, Ghana and has received several prestigious decorations both nationally and internationally. Edem Kodjo is a diplomat, politician, lecturer, economist and writer. He has worked at senior levels in his home country Togo, at the West African sub-regional level as well as at the continental level. Edem Kodjo held the position of Prime Minister of Togo from 1994 to 1996, and again from 2004 to 2006. He also served as Finance Minister and Foreign Minister. He was the Secretary General of the Organisation of African Unity from 1978-1983. For almost 10 years he was Associate Professor of Development Economics and African Studies at the Sorbonne University in Paris. He is a known writer and has authored a number of books and articles. 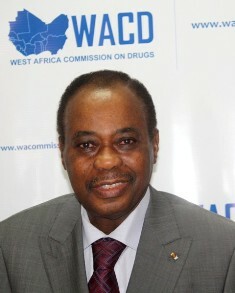 In March 2011 Edem Kodjo was made ECOWAS Ambassador for life at the Heads of State Summit in Abuja. In May of the same year he founded the Panafrican Forum for Peace and Development, PAX AFRICANA whose main objective is to work at reducing conflict and to promote accelerated development on the continent. Edem Kodjo retired from active politics in 2009. 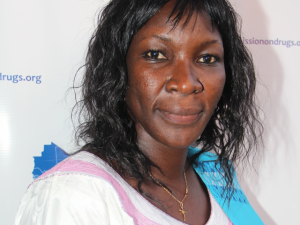 Christine Kafando is the founder of Association Espoir pour Demain in Burkina Faso. She has held various positions, including President of the Board of Directors REGIPIV (Network for a greater involvement of people living with HIV) since 2004, founder and member of the Association REVS + (1996), member of the National Council Office of the Fight against AIDS and Sexually Transmitted Infections since 2001. She was a consultant in the Psychosocial Medical Department at the Hospital Souro Sanou, Bobo Dioulasso from 1997 to 2003. She has also worked on representing people living with HIV at the international level. She served as the Second Vice Chair of the Country Coordinating Mechanisms/Global Fund since 2004, was a member of the Scientific Sector 6 of the ANRS (National Agency for AIDS Research) (France) from 2006 to 2010, and was a member of the Technical Advisory Committee of STF (Secure The Future), Bristol-Myers Squibb from 2005 to 2010. 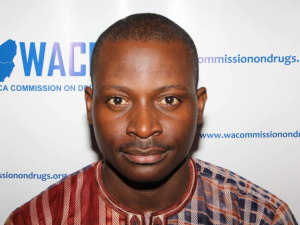 Adeolu Ogunrombi is currently the Project Coordinator of YouthRISE Nigeria and West African Countries, an initiative which focuses on advocacy, capacity building and research on drug policy reform with a special focus on young people. He has an extensive background in public health and human rights practices. 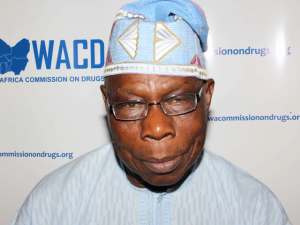 He has been at the forefront of the debate on drug policy reform in Africa. 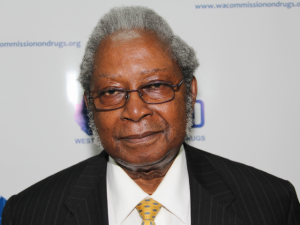 He has authored and presented scientific papers in many international conferences on issues bordering on HIV/AIDS, drug policy, harm reduction and young people. He was nominated among the 100 global Youth Leaders by Women Deliver in 2010. 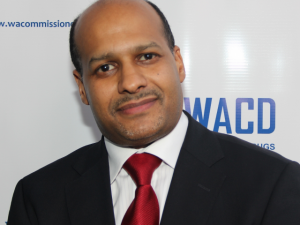 Mohammad-Mahmoud Ould Mohamedou is a Visiting Professor at the Graduate Institute of International and Development Studies and Head of the Regional Development Programme at the Geneva Center for Security Policy. Dr. Mohamedou was previously the Associate Director of the Harvard University Program on Humanitarian Policy and Conflict Research in Cambridge, former Foreign Minister of Mauritania, Director of Research of the International Council on Human Rights Policy, and Research Associate at the Ralph Bunche Institute on the United Nations in New York. He is the author of several books. His research focuses on transnational terrorism, political violence, the transformation of warfare, transitions to democracy, and Middle Eastern and North African socio-political and security developments. A Grammy-award winning singer, Oumou Sangaré is known as the “songbird of Wassoulou” and an ambassador for the music of Mali. She sings about universal themes in life such as love, death, destiny, respect for each other, hope and harmony, but also the fun things in life. 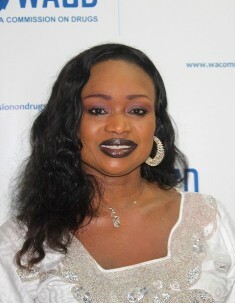 In October 2003 she was named Goodwill Ambassador of the Food and Agriculture Organisation of the United Nations (FAO) Oumou Sangaré is an advocate for women’s rights, opposing female circumcision, child marriage and polygamy.